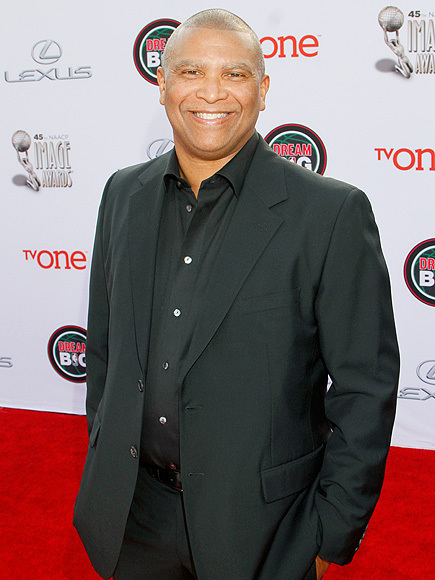 When Academy Awards co-producer Reginald Hudlin first read the script for the upcoming biopic Marshall, based on Supreme Court Justice Thurgood Marshall, he jumped at the opportunity to sign on as director. The late Marshall was the first African-American judge to serve on the U.S. Supreme Court. And while he may be best known as the lawyer who fought for racial equality and found victory in the landmark case Brown v. Board of Education, Hudlin says that’s not the part of Marshall’s life the film focuses on. “This script popped out to me because it wasn’t the story that we’ve heard before,” explains Hudlin. Marshall focuses on an important case in the Supreme Court justice’s early career. In the film, Marshall defends a black chauffeur accused of sexual assault and attempted murder by his wealthy employer. Marshall is teamed up with a Jewish lawyer who has never tried a case before, and together, they fight for justice in a trail that would later help lay the groundwork for the civil rights movement. Hudlin says the film’s message is more relevant than ever today. Chadwick Boseman (Captain America: Civil War) will star as the respected Supreme Court justice. Marshall isn’t the only historical figure Boseman has portrayed on-screen. He also played Jackie Robinson in the film 42 in 2013, and James Brown in 2014’s Get on Up. It was Boseman’s experience playing such legends that made him an easy choice for Hudlin to cast. “I’m excited to see where he goes with it,” Hudlin adds. Marshall begins production in Los Angeles next week.